As the book opens, Doris is a Swedish woman in the twilight of her life. She has a nursing service come in to help her once a day, but the caregiver is simply getting the job done without caring about the person she is paid to help. Doris is kind, but doesn’t bother to interact. The caregiver doesn’t notice. Doris’ body is betraying her with weakness, but her mind is still sharp and her memories clear. There are two things Doris does interact with. One is the computer phone call to her niece in the States, which happens every day. Both of the women delight in seeing the other from around the globe and sharing their lives. The other is the red address book that her father gave her for her tenth birthday in 1928. Just by opening the pages and scrolling through, she can walk through her past and relive the good and the bad of all the years. At this stage of her life, Doris’ red address book holds many names of the dead. As each friend or family member passes away, she draws a line through their name and writes in one word. DEAD. She has lived a full and interesting life and has accepted the fact that her life is soon to be over. Her niece realizes that her beloved aunt is failing fast, and makes the journey to see her one last time. Her bittersweet journey will open her eyes to the woman Doris once was and still is until her last breath. Lundberg skillfully takes us from past to present by using the entries in Doris’ red address book to tell us of the people she has encountered and events that have happened in her long and interestingly colorful life. Not all of the experiences have been good – but each of them has shaped Doris into the strong woman she remains to be today. Oftentimes as people get older they are not seen as the young, vibrant person they were before age slowed them down. I have been fortunate to have close older family members tell me about their lives, just like Lundberg does for Doris. By the end of the book, I had laughed and cried with her as if she was an Aunt I was truly fond of. 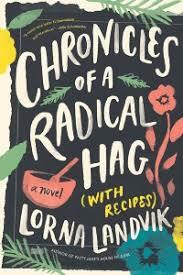 This is the first book Sofia Lundberg has written and I am excited to see what this promising author does next. 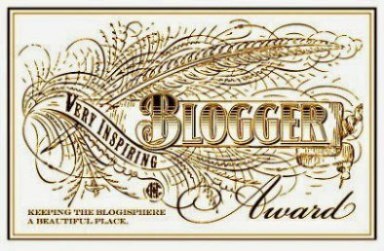 The former journalist that resides in Sweden is an author to put on your radar. 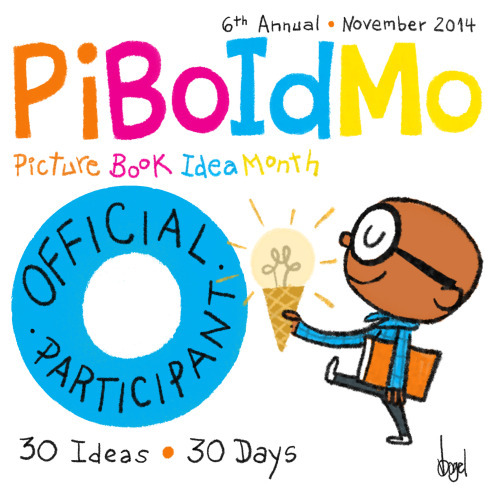 I have read hundreds of books this year. Some of them fantastic, some mediocre, some made me want to chuck them across the room for various reasons I won’t mention. 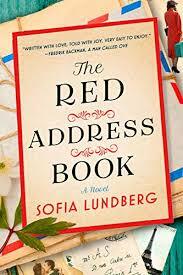 But hands down, The Red Address Book is the best book I have read this year. Do yourself a favor and get it now. 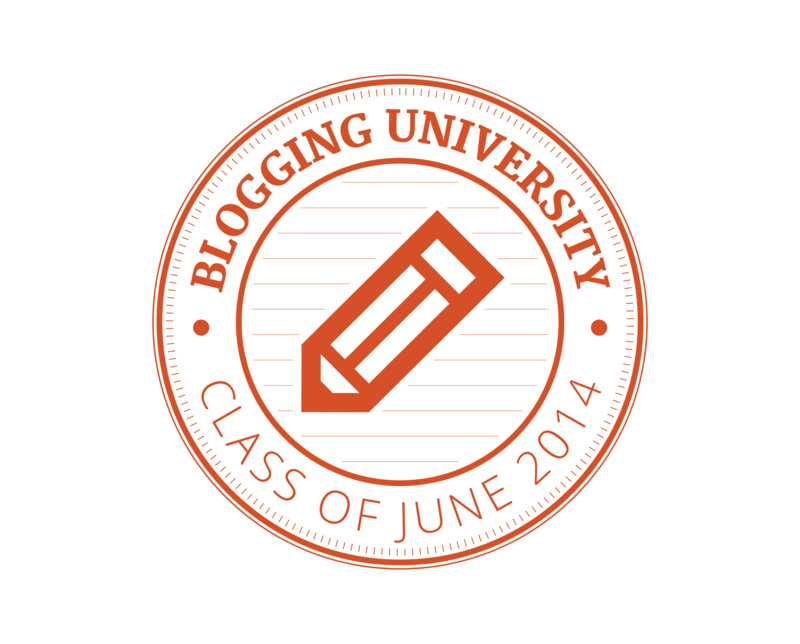 Share it with your friends and read it for your book club. Tell me what you think! Neighbors can be ignored, acquaintances or befriended on levels from chit chats over fences to confidants. In Frances’s neighborhood, she has some of each of the above. 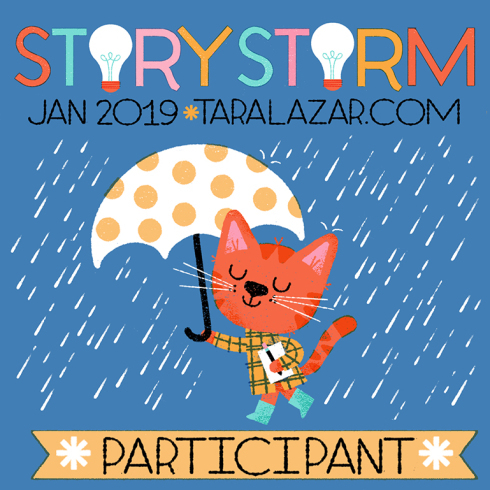 As a stay home mom, she is the designated car pool to school kind of neighbor, so she knows anyone with small children pretty well. At least she thought so. The day started out like any other day. Frances picks up her charges and heads to school with them. Kids are dropped off, piling out of the minivan like a clown car. That is until six-year-old Katie realizes she forgot her toilet paper rolls for her project. The last thing Frances wants to do is to drive back to Katie’s house, get the missing TP rolls and drive back to school again. But looking at Katie’s desperate little face she knows she will have to go back for them. Getting back to the child’s house, Frances knocked, but when there was no answer, she figured Anne, Kate’s mom, had gone back to bed or was busy and didn’t hear the knock. She opened the door and saw the bag of toilet paper rolls right inside so she grabbed it and turned to make her return trip to school. That is when she saw Anne laying on the floor. Frances immediately turned to her asking if she was okay, but suddenly it dawned on her Anne was not alone. And the person she was with was not her husband. Frances isn’t the type of person to blab all over the neighborhood. But even if she doesn’t tell anyone about Anne’s indiscretion, the wheels are in motion to change the dynamics of the neighborhood and their relationships with their families and each other. Behind closed doors relationships thrive or wither, life changing decisions are made or sometimes made for you. As we learn about all of the neighbors no one may truly be the person they seem to be to the neighbors, even those close to each other. But when two of the children go missing, they will all have to rally together to find them. 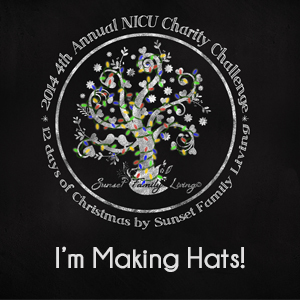 Grab a cup of coffee or tea and spend some time with Frances, her family and neighbors. This is the perfect summer read. 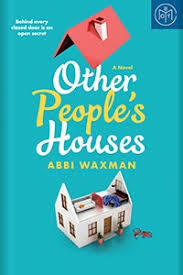 This is the first book I have read by Abbi Waxman. It is a gem, so I can’t wait to read her first book, Garden of Small Beginnings next! The year is 1953, the place is New York. Kitty Tessler is rich, carefree and conniving. Kitty has everything except what she really wants – to be accepted into the fold of the social elite of the day. By her calculations, she is snubbed because her family is part of the new money generation. She longs to marry into an old money family so she can claim her spot in the social circles that talk about her behind her back. But time is running out for her plan. Her father owns posh hotels and has given her an ultimatum. If she doesn’t stop partying and settle down, he will cut off her funds and insist she start working for the hotel. As if that isn’t bad enough, she will start at the bottom. Becoming a maid will boot her out of the edge of society she is clinging to, so something has to be done, and soon. To make matters even worse, her father has come up with a prospective groom that will thwart her plan to marry into a well-heeled family. This is when Kitty begins to hatch an elaborate plan. She has to work quickly and carefully manipulating, planning and lying to those closest to her. What she doesn’t bargain on is falling for the wrong guy and losing someone she dearly loves. 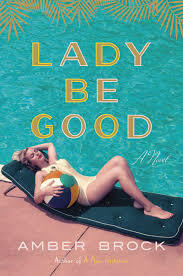 Lady Be Good is light enough to be a beach read, but has an underlying current of a much deeper novel. The plot is interesting, and the real beauty of the story lies in the characters. The main characters are flawed, much like any and every one you may know. No one is perfect, especially Kitty. She is not always likeable, often abrasive and occasionally schemes and plots at other’s expense. The beauty of her and the other characters is the growth they experience as the novel progresses. One of my favorite quotes is, “Sometimes a part of you must die to begin living again.” This resonates with me as an integral part of emotional growth on many levels. This is the first novel I have read by Amber Brock. Her critically acclaimed debut book, A Fine Imitation is also available. Both books are historical novels. Brock brilliantly takes readers back in time with relevant historical facts woven into her fictional character’s lives. I recommend stepping back in time with Kitty and enjoy the ride in vintage style. Book Review: The Subway Girls – Things Have Changed – Or Have They? Charlotte is clever, bright and educated. She longs to work in Marketing. Even though she is about to graduate from college, she can’t get a job at any of the firms she has applied to. It isn’t that she wants to start at the top; as a matter of fact she is willing to start in the typing pool and work her way up. This is a long shot for a young woman in 1949. To add more misery to her world, her father’s hardware store isn’t doing well, so he wants her to work for him instead of getting a job that actually pays so he can fire his last employee. Her age is another deterrent. No one wants to hire someone as old as twenty-one. It is almost a certainty that she is just waiting to get engaged, married and immediately after resign to take care of her husband, home and however many children they have in quick succession. Charlotte wants more from life, including a career at a marketing firm. Olivia lives in a world where women can hold almost any job that a man can. They may not get equal pay, but in 2018 women are much more likely to be taken seriously. It appears to be true, but when Olivia’s job becomes a contest between the other manager at her marketing firm and her, only one of them will still be employed when all is said and done. It doesn’t seem to matter that she has brilliant ideas; the “good old boy” network is alive and well. Unfortunately, her competition will do anything to have the best campaign for the New York Subway system. To boost their ridership, the NY Subway needs something new with a twist of retro and even though Olivia comes up with great ideas, will she be heard? Meantime, back in 1949, Charlotte has personal and professional issues. She wins a contest to be a Subway Girl that she entered on a whim. They are New York gals that are smart and pretty. Charlotte cleverly thinks if she can mention her father’s store during the campaign it will be on all of the subway cars, therefore free marketing so she won’t have to work in the family business and can further pursue her dream. Olivia reads about the Subway Girls and feels it is a great idea that would stand up today. It will be retro with a new spin, landing right where the client wants it to be. After doing her research, she even locates a few of the gals who posed for the Subway Girl posters fifty years ago. Susie Orman Schnall does a marvelous job melding 1949 with 2018. So much is different, and yet, so much is the same. 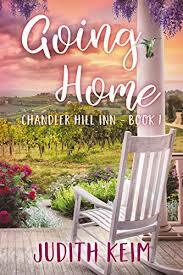 She cleverly alternates chapters between Charlotte and Olivia, taking the reader seamlessly from one story to the other until they blend beautifully in the last few chapters. The struggles each girl experiences in her personal and professional life are universal through time. 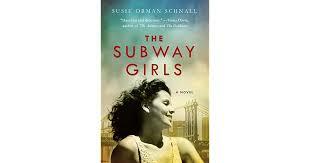 The Subway Girls is a fast paced, interesting novel. The characters are well developed and the plot line is interesting and complex. Often times women’s fiction has too much romance and whining involved for me, which is definitely not the case with this fantastic book. There was a subplot of romance, but not to the extent of overtaking the story. This novel is just the right amount of everything. I loved it. A Sister in My House on the surface is the story of three sisters. But layer after layer it is actually a study of women’s emotions toward each other and those they encounter. One lost by death, the other two making their way through life in the wake of this event. Separated in age and experiences, the remaining two sisters have grown further apart in their adult years. Surprisingly, Maria invited Emma to come and stay for a visit while the two of them were together for their mother’s funeral. Two years later Emma calls to take Maria up on the invitation that both of them know was not sincere or necessarily well intended. The resulting week of togetherness forces the sisters to acknowledge their past and think more clearly about their future. Maria has wrapped herself so tightly in her grief and losses that she cannot allow herself to enjoy life. Emma’s husband and children are no longer available for her as they once were. Resigning herself to the fact that those she loves will leave her, just as her beloved sister did early in her life, Emma risks falling into depression as she has done before. A week is not a long time. Will it be long enough to make headway on the road to discovery for both of them? Olsson’s literary fiction is powerful in words but not actions. It is the type of book you read, and then think about for a long time after. Small steps in the sister’s lives become giant leaps in their growth. One of my favorite quotes is: “Life intrudes from different directions. And I am no longer resisting I think.” To me, this shows the growth of the characters and the fact that they still have more healing to complete. Like real life, things cannot be resolved quickly, but any progress is a step in the right direction. 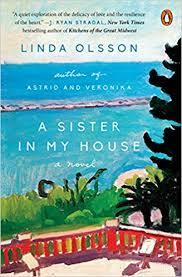 This is the first book I have read by Linda Olsson. This prolific, award-winning author should be on your watch list for literary fiction.